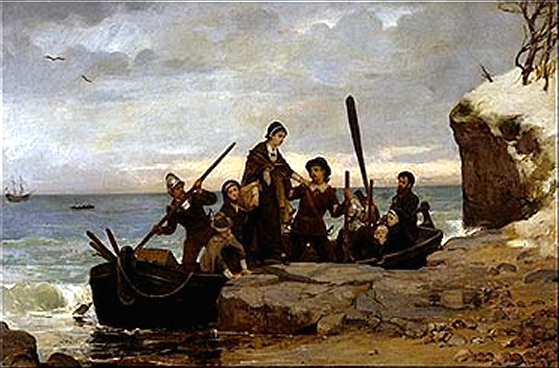 On This Day, December 21, 1620, the Mayflower Pilgrims land at Plymouth Rock. 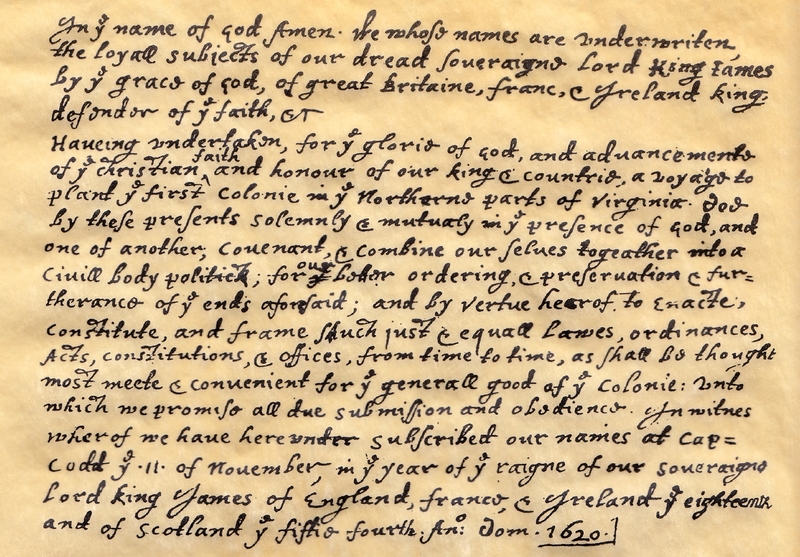 Jamestown was settled in 1607, the Colonists declared independence in 1776. That means the Colonial period lasted 169 years. If we take into account the previous unsuccessful settlement attempts we can say the Colonial period lasted around 200 years. From 1776 till now (2017), 241 years have rolled by. That means the period of time from the Declaration of Independence to today, where you and I now sit reading this, is only around 41 years longer than the Colonial times. Ponder that for a minute. This is extremely important. The Colonial period covered about eight or nine generations and their experiences shaped the future of the nation. The colonists were small bands of people on isolated settlements near the Atlantic; slowly they increased in number and, with a Bible in one hand and an axe in another, made their way further inland. They brought their English Heritage to America and molded it to conform to their new circumstances. This gives us some insight into their motivations, especially Governor Bradford. The Colonists were concerned about the future. Believing they were merely stepping stones for their children and grandchildren, they not only lived their lives for themselves, but in view of generations to come. Bradford’s history book is an example of this kind of thinking. He wanted us to know what they did hoping we’d learn from them and improve their work. This attitude gave the Colonists the courage to endure the sufferings of the new world; it was through generational family love they withstood those early days of death and disease. The colonists were preparing the way for us, their posterity, creating institutions and ways of doing things that are still with us today. We don’t agree with everything they did or said, but we are thankful for their labors. The history of America is how we got from Jamestown and Plymouth to where you and I sit right now. Are we planning for the future of our children? Are we willing to be stepping stones to future generation? 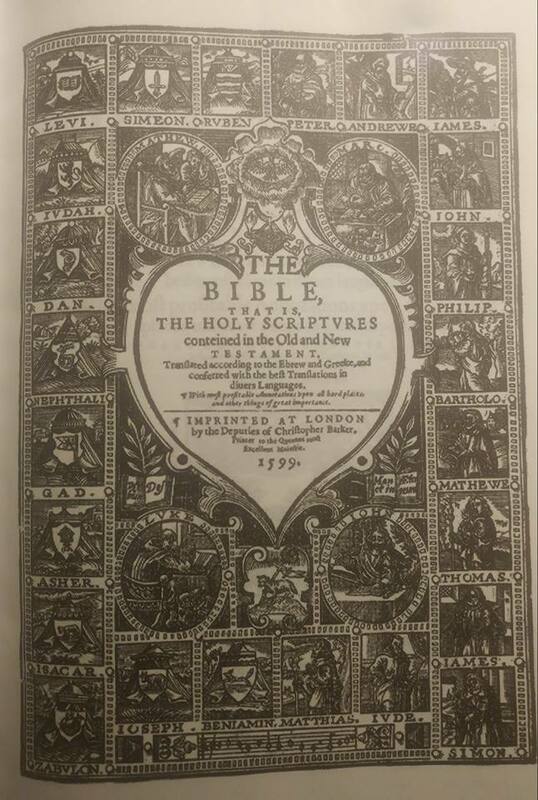 ***Below is a page from the Geneva Bible, the version the Pilgrims used.